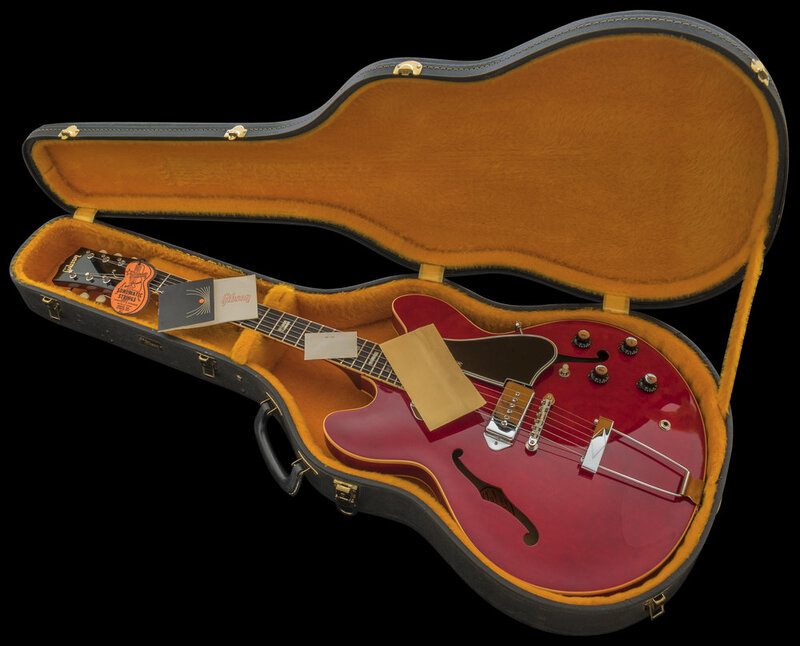 The 1960 Gibson catalog says, "a wonderful instrument with truly magical tone." 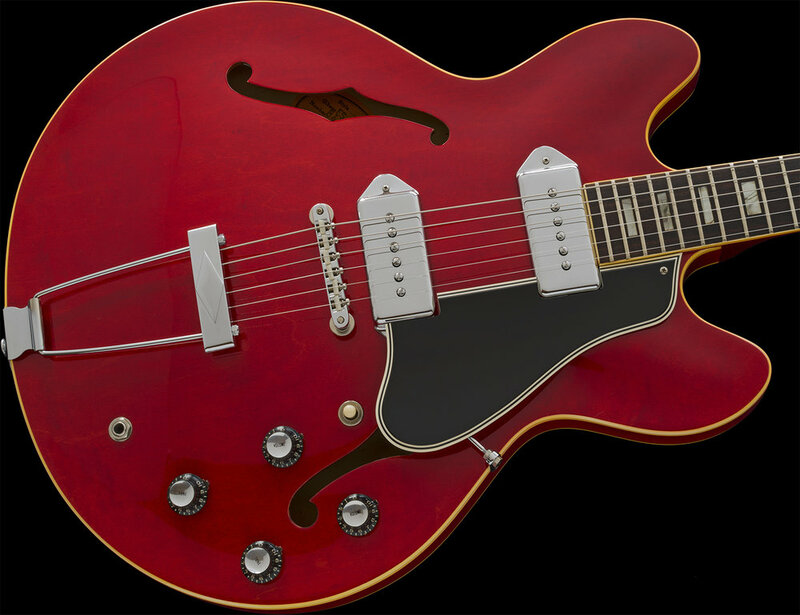 Initially introduced in 1959, the main features are thin-body Hollow Body construction, solid 1-piece mahogany necks with laminated maple bodies sporting 1 or 2 P-90 single coil pickups. 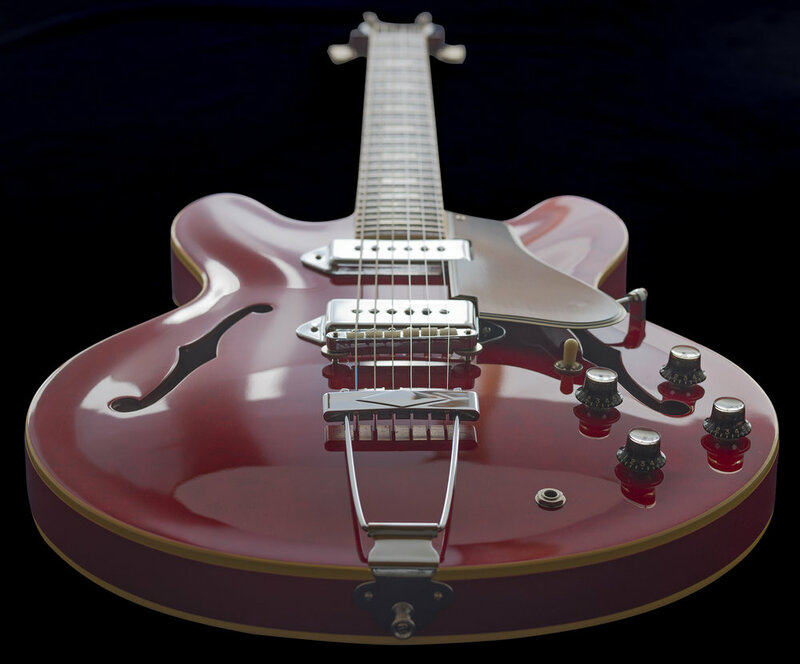 The Cherry finish was first introduced on this model in 1960. 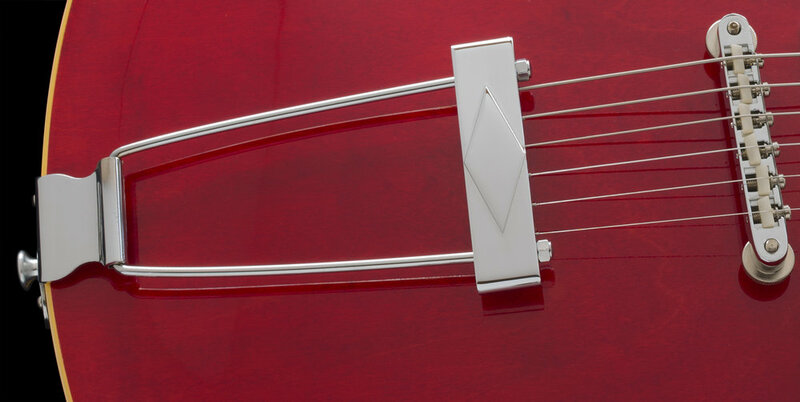 Additionally, this is a 1st-variety design having the 16th fret neck to body joint. This construction feature/spec was later changed to a 19th fret junction during the 1968/69 era, which also coincides with the introduction of the Walnut color option on this model. 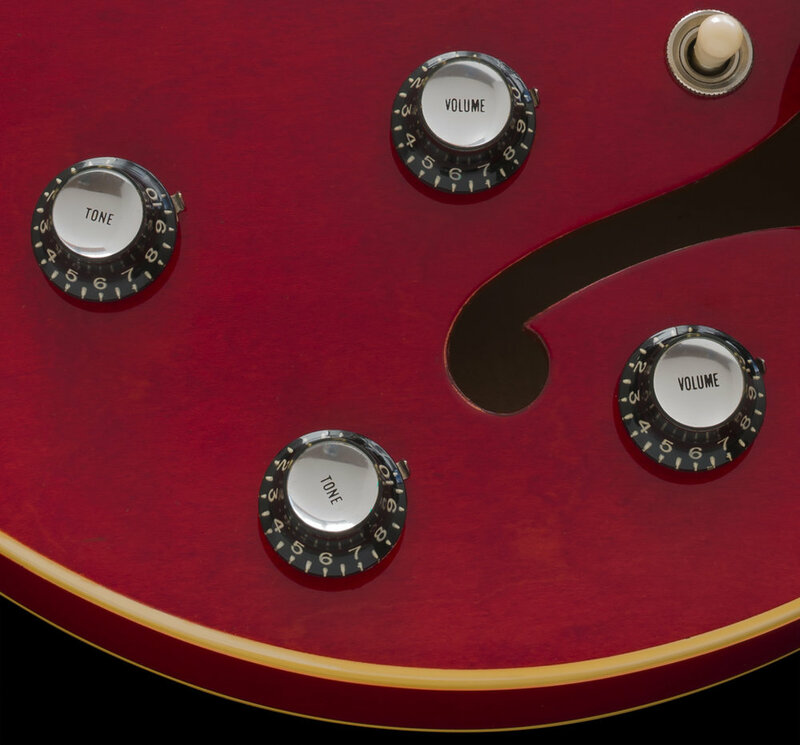 During the 1966 production year, Gibson shipped 1,161 Cherry Red ES-330TDC models. 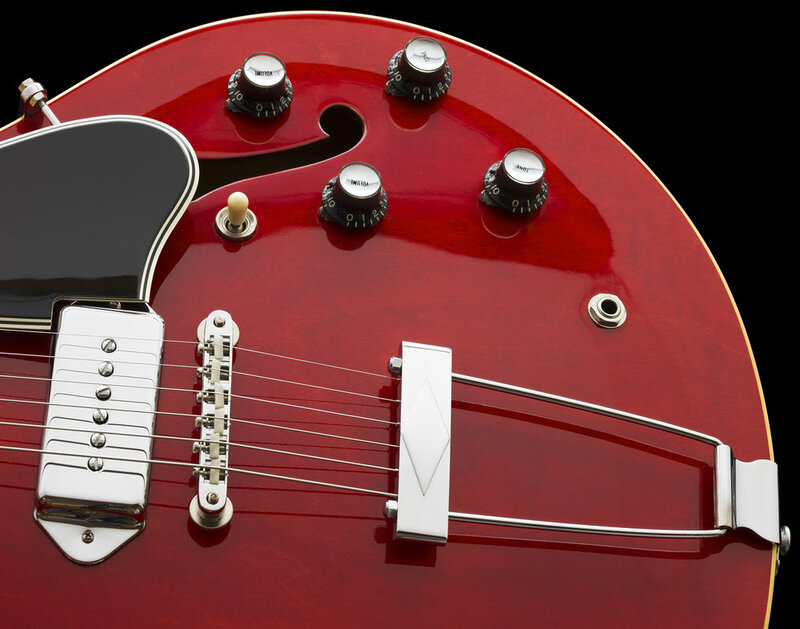 The Thin-line ES-330 model guitars are lightweight, comfortable, diverse and inspiring instruments. I have examined, tested, serviced and set-up this instrument and found it to be factory-correct and unmolested in every way. All of the electronics, frets, nut, finish, and both the plastic and chrome plated metal hardware are all Correct and Original to the guitar. Remarkably, the instrument has not finish-checked and is in "nearly" unused condition. I surmise the guitar was sparingly played a bit back when it was new but was likely stored shortly afterward and since. There is a small paint chip on the Bass side of the headstock at the Low E tuner (refer to the photos) that looks to possibly have been caused by a plastic string winder along with other minor marks and signs of human contact, but it's all minimal. The Cherry color on this guitar is vibrant and rich which my large and clear photos show. The Chrome plated hardware is also bright, clean and shiny. This guitar is stunning in every way! The CASE is a Faultless plush-lined hard-shell with Black Tolex and Yellow lining. This case is factory correct and original to the guitar and is also in excellent matching condition. It's exterior GIBSON Badge is still intact, and it has a fully functioning handle, latches, and hinges, in addition to being quite pretty too. 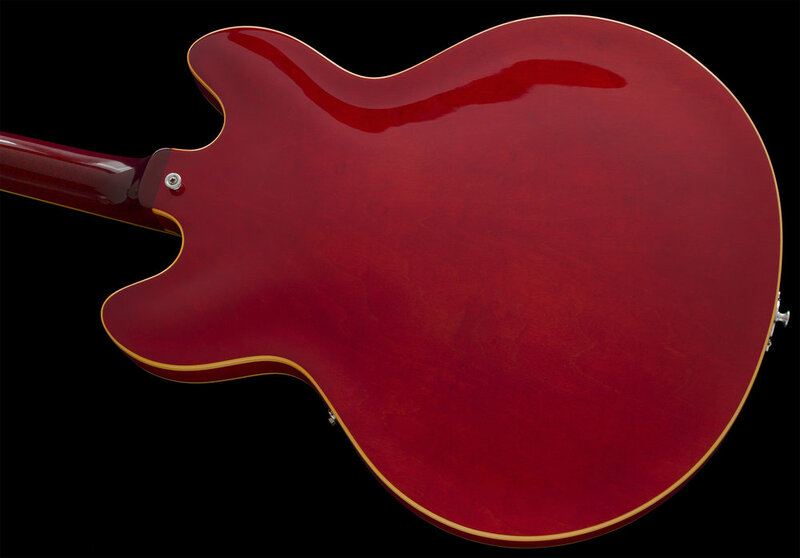 A GORGEOUS guitar with an unfaded Cherry coloring that glows! I acquired this beautiful guitar 25 years ago, and because it was the most beautiful examples of this model that I had ever encountered, I decided not to offer it for sale and it subsequently never made it onto the walls of my shop. 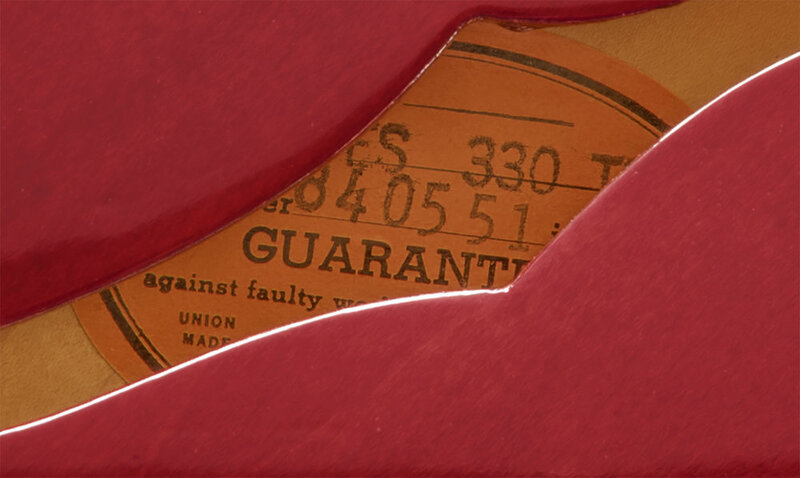 Factory-Original and remains in a beautiful, well-preserved condition replete with it's Gibson Hang Tag, String Tag, original-issued Tune-O-Matic Instructions WITH Gibson Screwdriver as well as the Case Key in the envelope!